Courtesy of Leading Edge Real Estate, Kim Covino. 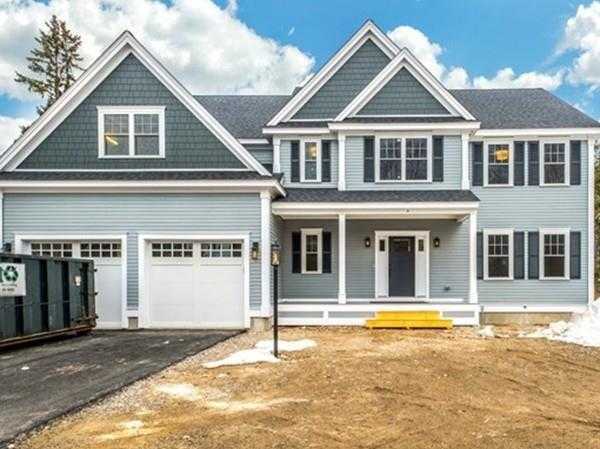 Recently completed NEW CONSTRUCTION – this exquisite 5 beds 4.5 bth colonial features open floor concept for today’s family living! Thoughtfully designed with a high-end finishes & details, this homes offers an oversized 2-car garage, direct entry into mudroom, gourmet kitchen w/ island & Wolf/Subzero appliances, FR with FP & direct exterior access , formal LR & DR with crown moldings & wainscoting. Second floor features include master suite w/ walk-in closets, luxurious master bath, laundry room with custom cabinetry and sink, 4 oversized corner bedrooms flooded with light & ample closet space. Third floor with bonus room, add’l bedroom & full bath. Great rear yard w/deck & sliders from kitchen. The lower level bonus space features spacious family room w/fireplace, kitchenette/ full bath &-plenty of space for gym. This home is located in sought after East side of town, convenient to the center, Lincoln school district, and is truly a great neighborhood! Disclosures: Please Make All Offer Checks To Mcelhiney & Matson.